This article is part of our special report Decentralised cooperation: what future for local to local EU’s development policy after 2020?. Decentralised cooperation has been a pillar in international development for the past 10 years but stakeholders fear the new EU long-term budget might threaten the role of local authorities in the field. Difficulties in acquiring a birth certificate often result in people struggling to obtain a passport, register for school, open a bank account or even getting married. This had been a problem for years in Dogbo, in Benin, but was solved thanks to a partnership with Belgian town Roeselare. Decentralised cooperation allows European cities and regions to work hand in hand with partners within Europe and across the world to establish partnerships for cooperation and development projects. 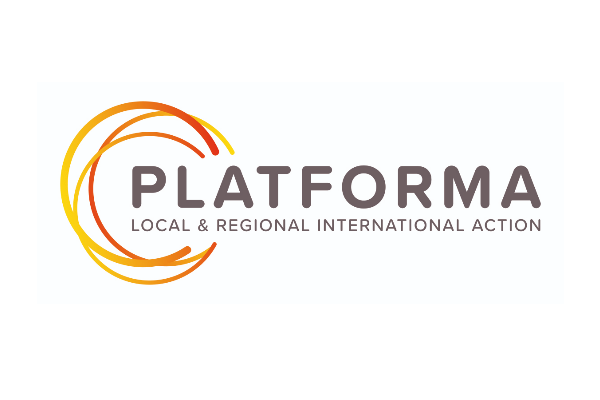 PLATFORMA, an organisation that brings together local authorities and stakeholders working in the field, has been supporting decentralised cooperation for the past ten years. 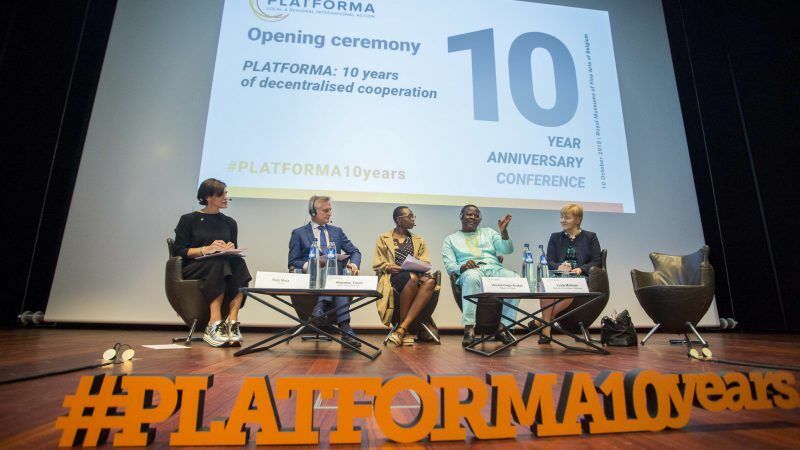 “No country can develop without taking into account the local authorities,” Vincent Codjo Acakpo, Mayor of Dogbo and winner of the 2018 PLATFORMAwards underlined during a meeting during the celebration of the 10th Anniversary of PLATFORMA in Brussels. Decentralised cooperation, Acakpo stressed, “brings the North and the South closer;” allows them to “learn from each other” and to exchange and duplicate good experiences. The cooperation established between the two towns goes far beyond the development of the cities but led to establishing a close relationship, an exchange of practices but also of culture and values. “We overcome the old system of imposition,” Acakpo argued. On the other side of the globe, Rob Metz is mayor of Soest in the Netherlands, a town that has been working on decentralized cooperation for over thirty years. His experience goes from working hand in hand with a twin city in Germany to travelling to Iraq to visit the city where refugees living now in his village come from. “They find important that their mayor now has been there and can understand now what they experienced, why are they here,” Metz explained. “And I can tell local people that not everyone that when people flee their countries is because there is a reason for that. It helps me do my job,” the mayor stressed. “ PLATFORMA is not just an institution, is what bring us together,” he said. People tend to present their problems to local authorities, which are the closest public institutions to them. “However, even if local powers might have the solutions, often they do not have the resources,” the mayor of Dogbo stated. “National governments have the resources but in most cases, they do not know the actual problems of the people in the field”, he warned. This logic is applicable to international development as well and this is where decentralized cooperation can make the difference. “Where national governments fail, local authorities can still succeed,” Linda McAvan, member of the European Parliament underlined. This is why, McAvan said, the Committee on Development in the Parliament strongly supports boosting decentralized cooperation by strengthening the role of local and regional governments in the field. The UN Sustainable Development Goals (SDGs) are a particularly important target for decentralised cooperation. “The SDGs means that all citizens take responsibility and ownership for the future,” Tamar Taliashvili, Vice-president of the National Association of Local Authorities of Georgia highlighted. “If we talk about SDGs, it is very close to what local governments every day do,” Taliashvili insisted. Next year, the European citizens will go to polls, the United Kingdom will leave the EU, a new Commission, a new Parliament will take office, and a new generation of development programs will be designed. Furthermore, in the coming months, the European Parliament, the European Commission and the Council will have to negotiate the next EU long-term budget that will provide funds for the next 7 years. The proposal presented by the Commissioner for Budget Günther Oettinger has been criticised by the Parliament and the European Committee of the Regions precisely because it lacks localisation, in particular when it comes to international cooperation and development. “We need to make sure that the legal text includes provisions so that local governments can spend,” McAvan said. The good news, the MEP highlighted, is that thanks to organizations like PLATFORMA, local authorities are more and more involved in the decision making process. However, McAvan also urged local authorities to lobby their national governments, as they have the key for a stronger budget. “All this is happening now and it is happening fast,” she warned. “We should remain vigilant so that the territorial approach does not disappear in cooperation,” Acakpo stressed. Despite the criticism, Carla Montesi, Director at the DG of International Cooperation and Development of the European Commission, defended centralised cooperation at the core of the EU executive external actions. This demands an important and difficult political dialogue but sometimes the results are very important, she said. In peace processes such as the ones ongoing in the Central African Republic or Nigeria, local authorities have been key in bringing the national government to the table, Montesi explained. The Commission, said Montesi, tries to push forward decentralization in all cooperation projects with third countries. “With the SDG we have won a battle, the one on the localization,” Vallier insisted. The battle will now be working to preserve local and regional influence in EU cooperation and development strategy and to ensure that decentralised cooperation remains a pillar of the European external action. “We are experiencing a rise of populism but cities are places of resistance,” Giulia Maci, Coordinator of the European Think Tank Group argued. “Cities and local governments have an important role in making Europe stronger,” she stressed.